When the gods and goddesses of pastries and desserts came down to earth, they settled down in France. With their glorious blinding presence and golden spoons and ladles, they taught the locals how to make fluffy meringues and mousses, luscious cakes, and divine crème brûlées. The result is French pastry as we know it. While this myth may be as airy as a French dessert, it may not entirely be too far-fetched, because the world knows how spectacular French pastries are, and no one can question the authenticity of this BS story. Seriously, can you dare dispute this myth? Nope you won’t. But because you are such a good reader and didn’t mind my own version of the [very short] history of the French Pastry culture, I’ll reward you with the real deal: actual (read: not made up) things you need to know about this topic sorted out based on WHAT, WHERE, WHEN, HOW, WHO, and WHY NOT. 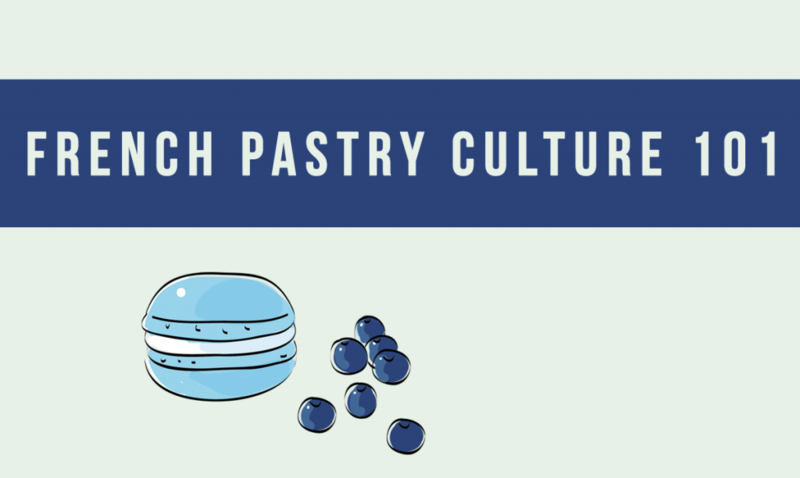 What is the French Pastry culture? 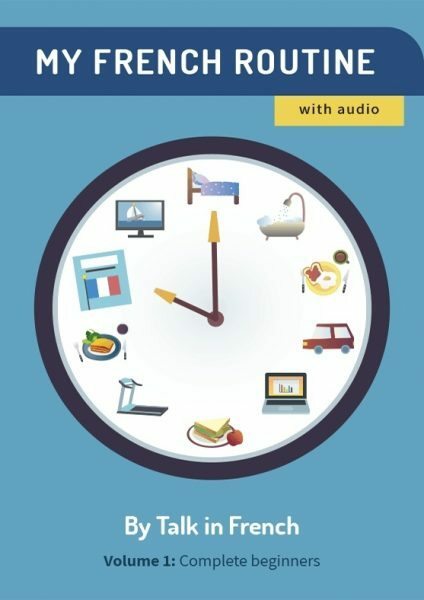 What started out as a customary routine of serving sweets such as fruits and cheese after a meal has turned into a full-blown art form, and the French have perfected this art in no time. They began to develop a whole repertoire of elegant and utterly delightful confections, cakes, and pastries that have won the world many times over, and are still being celebrated centuries since then. 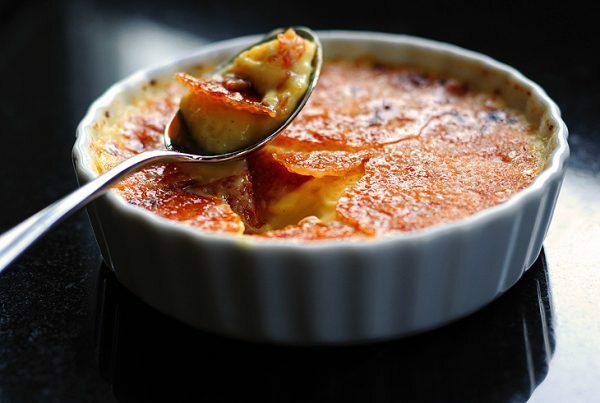 Crème Brûlée – it literally means ‘burnt cream’. It is made of plain vanilla custard with sugar toppings. The sugar is then caramelized using a kitchen blowtorch and served in an individual serving bowl (also known as a ramekin). 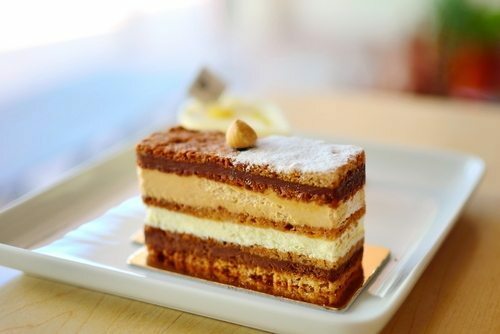 Dacquoise – It’s a cake made of different layers of almond and hazelnut-flavoured meringue and whipped cream or buttercream. Its name comes from the feminine form of the French word dacquois, which means ‘of Dax’, a southwestern French town. 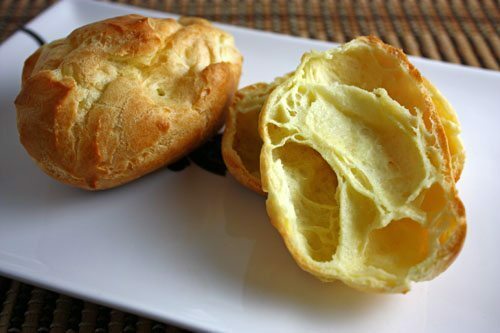 Choux pastry – this is made of only four basic ingredients: butter, eggs, water, and flour. The result is very puffy. Profiteroles, éclairs, and crullers are all made with choux pastry. 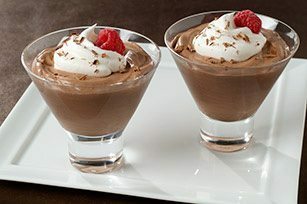 Mousse – it began as a savory non-dessert dish, but ended up turning into one. Mousse is actually a cream concoction made of egg whites, egg yolks, and sugar whipped to a delicate and fluffy state with lots of air incorporated in it. Chocolate and other flavors may also be added. 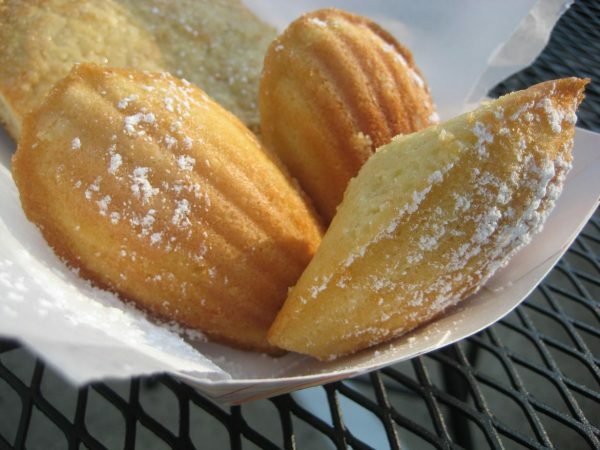 Madeleine–Madeleines or petites madeleines are shell-shaped butter cakes that is crispy on the outside but soft on the inside. Think of it as a yummy little pillow where all your little dreams come true. Mille-feuilles – pronounced as something like ‘mil fowyee’, it literally means “thousand sheets”. Though there are several other variants, the traditional mille-feuilles is made of 3 layers of puff pastry, crème patissière (pastry cream) filling, layered with fondant icing on top, plus some slivers of toasted almonds. Sounds heavenly? Sure is. Other variations have spinach, berries, whipped cream, and cheese fillings. TarteTatin – the widely-known signature dessert of Hôtel Tatin in Lamotte-Beuvron, France, the tarte tatin is said to be created by accident. It features a caramelized apple cooked until it turns golden brown and sugary sweet. For a list of more fabulous French desserts, go here. Do you like French foods? Paris for Foodies (plus the freebie Paris for Selfies) is available now for only $5 (or equivalent in your local currency). 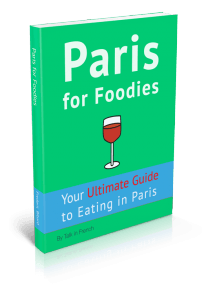 So, make sure to get your copy and start planning that food adventure in Paris. Where can you get the best pastries in Paris? For the full list, some details, and lots of recommendations, visit this page. When did the French make notable headway in pastry-making? The dessert-making craft was perfected by the French in as early as the 17th and 18th centuries. By this time, royal chefs have become some sort of celebrities and made magnificent dessert sculptures. How are French pastries different from the rest of the world’s pastries? French pastries are often extra flaky due to using a lot of butter. Creating French pastries require a lot of time (several hours), attention to detail (must be extra careful in preparing), and extreme dedication. 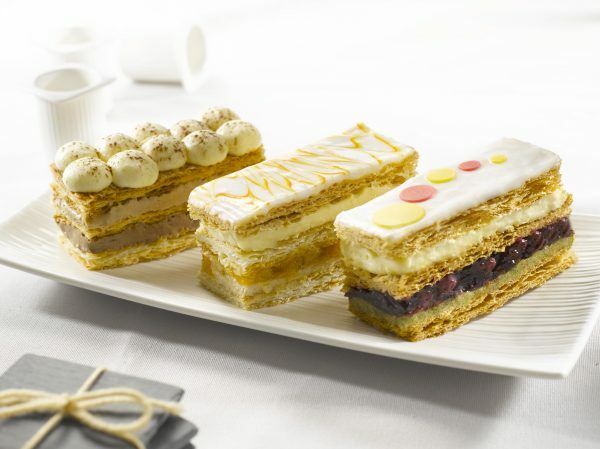 Layered desserts like mille feuilles and dacquoise are quite common. The different layers are being prepared separately. Another common characteristic of French desserts is its light and fluffy texture. Meringues and mousses are examples of this. Custard is a typical ingredient in French pastries. This makes the desserts extra rich and creamy such as the marvellous choux à la crème and crème brûlée. French desserts are elegant and delicate; the complicated techniques require a certain level of expertise to pull off. With all these, it is no wonder that French desserts are not only famous all over the world, but are also widely imitated and celebrated. Who are the big names and must-know people in French patisseries? Ever since Marie Antoine (Antonin)Carême, considered to be the very first internationally known celebrity chef, captured everyone’s attention with his elaborate desserts in the 17th and 18th centuries, French patissiers are well-loved within and outside of France. Pierre Hermé – Dubbed as “The Picasso of Pastry”, he is best known for his macarons, but is also excellent at creating luscious traditional confections. Florian Bellanger–The former top pastry chef at the famous pastry and candy shop Fauchon, he is also one of the main judges on the Food Network’s reality show, Cupcake Wars. Jacques Genin– Named one of the top French chocolatiers, this self-taught wizard is a widely known chocolate and caramel-maker in Paris. Sadaharu Aoki – Trained in both Japanese and French pastry-making, he infuses Japanese ingredients and eye for detail in his creations. Jean-Paul Hévin – He is a MeilleurOuvrier de France which is the highest distinction anyone in the field could aim for. Primarily known as a chocolatier, he has expanded his shops overseas. 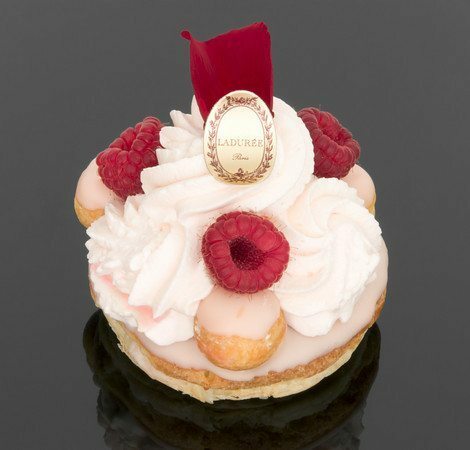 Philippe Conticini – One of the most celebrated Pastry chefs in France, he is one of the creators of the famous La Pâtisserie des Rêves or The Pastry Shop of Dreams. 6. …and lastly, WHY NOT??? Why not try your hand at making your very own French pastry? Check out this easy crème brulée and give it a go! And you, what is your favorite french pastry? Please let me know in the comment section.